Bangladesh House Building Finance Corporation bhbfc Job Circular 2018 has been published by the authority. Bangladesh House Building Finance Corporation will be recruit a huge number of people. At this stage maximum people think that government job will be perfect for their future life. Because,Bangladesh government is giving many facility with healthy salary for government employee. In this case, Bangladesh House Building Finance Corporation has been created a huge chance to unemployed people. 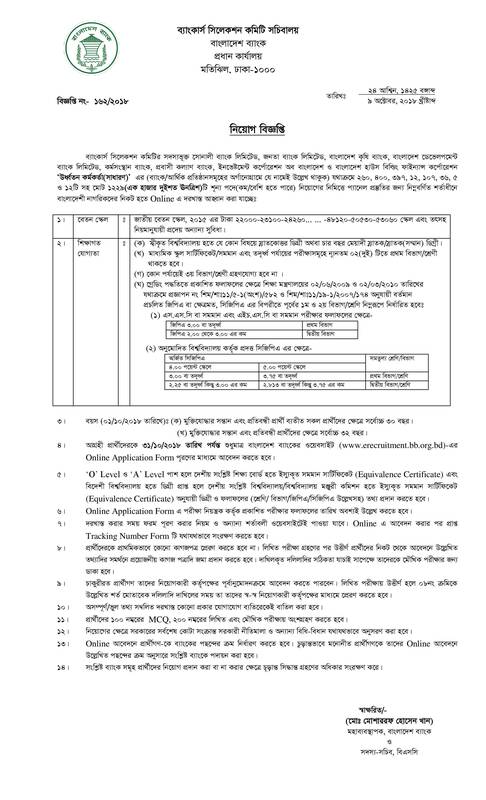 Bangladesh House Building Finance Corporation Job Circular 2018 related information has been found our website that is jobs.lekhaporabd.com & also on official website www.bhbfc.gov.bd . This job circular will help to all unemployed people. This job resignation are many category. Anyone can take this opportunity. If you want to apply this job, you should submit your application within specific time. Bangladesh House Building Finance Corporation Job Circular 2018 has been converted to an image file, so that everyone can read easily or download this job circular. Bangladesh House Building Finance Corporation Job Circular 2018 has been given bellow.